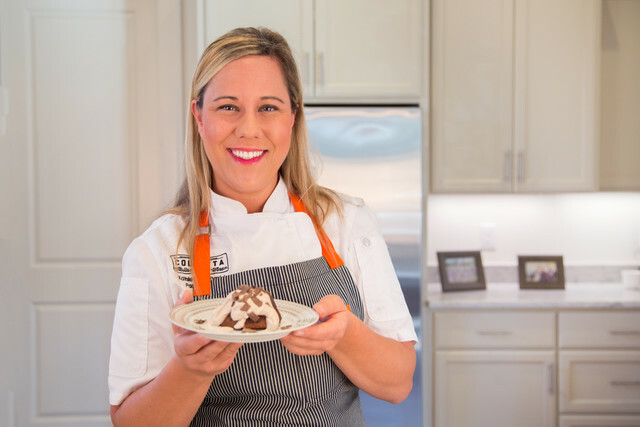 Kathleen McDaniel is the executive pastry chef for the Indigo Road restaurant group, which includes four restaurants in the Atlanta area. Before graduating from Johnson & Wales University with degrees in Culinary Arts and Baking and Pastry Arts, she grew up working alongside her mother for a catering service. She's worked with Share Our Strength, Chocolate for Cystic Fibrosis, Table to Table and Les Dames d’Escoffier Atlanta Chapter, and in the summer of 2016, she prepared dessert for the Georgia Grown Dinner in the James Beard House in NYC. Kathleen joined us in the PeachDish test kitchen and made us the decadent Flourless Chocolate Cake with Cinnamon-Spiced Whipped Cream! 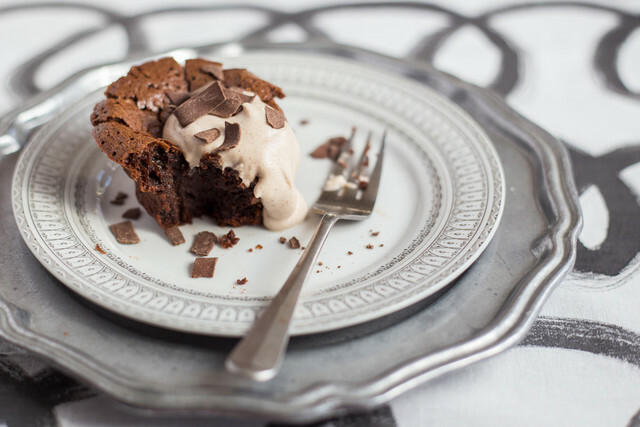 This Date Night dessert was so delicious, and we wanted to learn all about the mind behind it. What’s your favorite food indulgence? Follow Kathleen McDaniel online, via Twitter and Indigo Road! What's Valentine's Day without a little chocolate? Order your 3-course Date Night meal kit bundle now through Sunday, February 10th, at midnight EST to enjoy just in time for the most romantic time of the year!